Rob Castaneda found his passion for technology and training as a 17-year old, working on the Sydney helpdesk of a Silicon Valley software company. Within three years he had worked in various departments of the company, ranging from pre-sales, training, support and research & development. In 2000, Rob moved to Silicon Valley to work for a startup, and also contributed and co-authored several books and publications related to Enterprise Java. 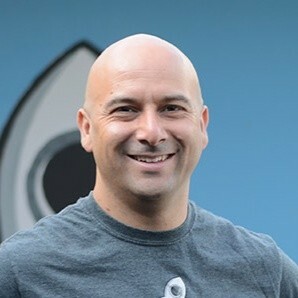 In 2001, Rob started his company ServiceRocket, which is headquartered in Palo Alto, California and has grown to more than 170 employees worldwide with offices in the U.S., Australia, Chile, and Malaysia. Rob’s leadership style of thinking team and sharing knowledge is part of what has helped him build a successful global company, completely boot-strapped, having no received no VC funding, and has most recently landed him a spot in the Silicon Valley’s Top 40 under 40.